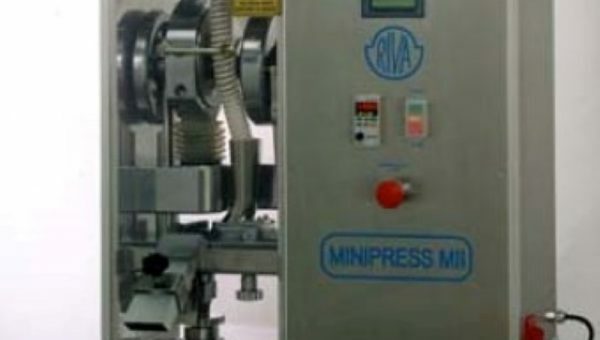 The MiniPressII is a small scale rotary tablet press designed for R&D and small pilot plant production. It can be tooloed with either “B”, “D” or multi tooling. The RIVA MiniPress is a miniature bench top excentre tablet press. It has been designed for a smaller production of up to 6,000 tablets/hour with a maximum compression force of 60KN. Single punch tablet press for the production of small batches. 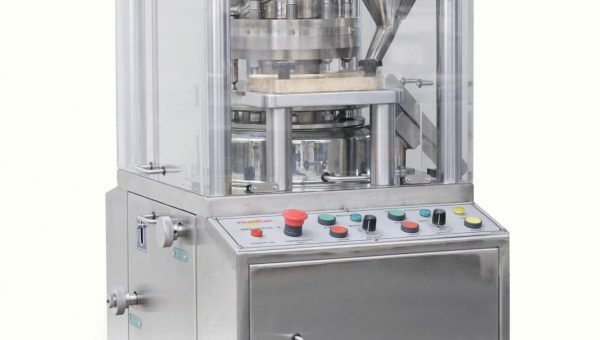 Fully automated rotary tablet press for R&D and small scale production.